By about 800 BC, most people in Japan were shifting from Stone Age hunting and gathering to farming rice for most of their food (but they were still also eating a lot of fish). People in Japan started raising pigs at this time, too, brought over from China. Like farmers everywhere, people in Japan started to fight over land, and they learned about bronze from Zhou Dynasty China and began to use bronze swords and spears for their wars. A few hundred years later, around 500 BC, iron reached China, and soon afterwards it also reached Japan, and men fought with iron swords and armor. Society quickly became very unequal (like China): women lost power because they didn’t fight in the wars (they had to stay home and make as many babies as possible to make new soldiers), and farming debts made some people much richer than others. These rich people were buried in big earth mounds, often accompanied by their companions, in the Central Asian style. Another new thing that came to Japan with farming and metal was the potter’s wheel: Yayoi pottery is almost all wheel made. That makes Yayoi pottery smoother and more symmetrical and orderly than Jomon pottery, maybe reflecting the new formality and hierarchy of Japanese society. But the pots often also have a smidge of wildness, of nature, of asymmetry, disturbing the perfection, suggesting nature and freedom. Yayoi people also began to weave hemp cloth, and to build wood and stone houses, though still in the earlier pit house style. Nobody is sure whether they had domesticated horses yet. By 100 AD or so, ambassadors and travelers occasionally risked the very dangerous sea voyage from Japan to China. One Japanese group paid tribute to a Han Dynasty emperor. At this time, Japan was split into a lot of different warring city-states, like ancient Greece or medieval Italy. But soon after that, maybe in order to be more like China, Japan seems to have had its first emperors, or Mikados. These early rulers may be mythical, and in any case probably didn’t really control all of the islands of Japan. Empress Himiko, for example, may have ruled Japan in the 200s AD, with the support of her younger brother. She may be the same person as the Empress Jingu mentioned in other stories. Chinese stories claim that Himiko sent tribute to the Wei emperor, consisting of four men and six women as slaves, and two bolts of cloth. 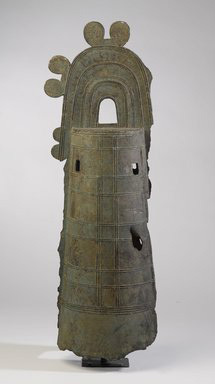 By 250 AD, soon after the collapse of the Han Dynasty in China, the Yayoi period was over. Cite this page: Carr, K.E. 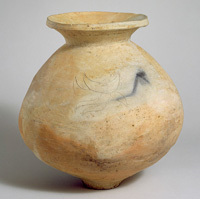 Yayoi – Iron Age Japan. Quatr.us Study Guides, July 27, 2017. Web. April 23, 2019.